Looking across the web at predictions of B2B marketing trends for 2018, developments in content marketing clearly stand out. 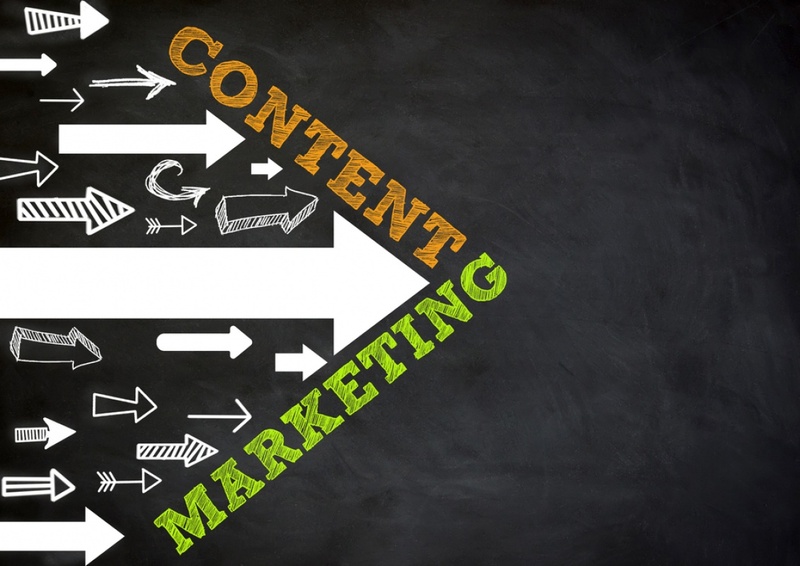 Of more than 100 individual predictions analyzed in a recent meta-analysis of marketing trends for the coming year, nearly a third related to content marketing. Here are the six top trends in B2B content marketing from leading industry influencers and bloggers. Content marketers will up their game in terms of strategy, quality, and thought leadership. More Strategic: Stand-out content is expensive to produce. To generate returns on that investment, every piece of content needs to serve a purpose; it needs to address the particular concerns of a specific buyer type (persona) at each stage in the buying cycle. Higher Quality: It’s no longer enough even to answer specific questions. More focus will be place on creating the best answer, the most comprehensive guidance, reflecting the latest thinking. Thought Leadership: The best answers are often those that are forward-looking. As the pace of technological change continues to accelerate, people are less interested in learning about what worked yesterday than what will work tomorrow. Authentic thought leadership addresses this need. Video will play a more prominent part in B2B content marketing. In 2015, MarketingSherpa reported that 85 percent of business executives preferred text over video when making business decisions, and just 7 percent used a smartphone “prominently” for content consumption. But 2018 won’t be 2015. Mobile now accounts for more than 50 percent of all web traffic, according to Statista. And mobile data volume is projected to increase by half in the coming year, and to double by 2019. Meanwhile, the share of online traffic accounted for by video is predicted to rise from 63 percent in 2015 to 79 percent by 2020. Pay to play will increase as a content amplification strategy. Great content won’t move the needle if no one sees it. SEO and organic social media sharing are important, but not every blog post or video you create is going to make it to page one on Google (much less to #1). And declining organic social reach makes it harder to maintain traffic from those platforms without significant follower growth. That’s why “pay to play” is predicted to grow in importance in the coming year, whether that means using a content amplification service like Outbrain, compensating industry influencers, or even paying publishers directly. Interactive content will play a larger role. Interactive content like quizzes, contests, surveys, and online calculators are expected to play a bigger role in content marketing in the coming year. And though they’ve lost their novelty, infographics (both static and interactive) are predicted to remain important traffic generators. As with video, the benefits include the ability to show as well as tell, greater engagement, and the capacity to convey a large amount of information with relatively few words. Customer experience will get increased focus. The word “content” for B2B marketers is (most?) often associated with top-of-the-funnel material like blog posts, videos and infographics (as noted above), and conversion assets like white papers, ebooks, and checklists. But content isn’t just for lead generation; it plays an important role across the end-to-end customer experience. For online sales, the order page itself is content: does it provide all of the information the buyer needs? Does it reinforce credibility and trust? Does it minimize friction in the buying process? Customer training materials, online support documentation and FAQs, and customer email updates are additional types of content that play an important role in optimizing the customer experience. B2B content will be less feature-driven and incorporate more storytelling and emotional appeal. There’s a place for detailed feature-function information on your website—but it’s not front and center. That sort of data should be easy to find for those seeking it, but you first have to give them a reason to want to look for it. B2B buyers are people, too. Stories—your brand story, your real-world customer stories—humanize your brand. Connecting your product or service capabilities to a personal benefit, like getting your customers out of the office earlier or giving them more time to focus on the more interesting aspects of their jobs, gives your offering an emotional appeal as well as practical, logical worth. These are the top B2B content marketing trends for 2018, as identified by more than 100 bloggers and experts across a dozen highly ranked posts. Marketers will produce more video and interactive content focused on thought leadership and storytelling. They will pay more to distribute and amplify that content. And they will broaden their view of content from top-of-the-funnel assets to the end-to-end customer experience. Tom Pick is a digital marketing consultant, working with Kinetic Data, a provider of enterprise service request management, workflow automation, and collaboration software. He writes about content and social media marketing topics on the Webbiquity blog.